It is the week where orange food rules. I don’t know about your place, but Halloween has seeped into our household over the last few years and I’m happy this year that it falls on a Friday night. It means that we can all potter off to a dress up party together for a bit of fun rather than trawling the streets looking for the rare orange balloon that signifies that the occupants won’t freak out if we knock. In previous years my kids have been super keen for a bit of trick or treating… until we get to the strange driveway… then all gumption leaves them and they start crying, too afraid to approach the door. Of course then they pester and want me to do it for them, but being a mean mum, I merely point out that following this imported tradition is THEIR idea, and if they can’t knock on the door, they don’t deserve any treat. Tough love, and delivered whilst wearing a witches hat. Cackle. Inevitably our lolly haul is small and we end up home earlier than anticipated with the night being more fraught than fright. The ghosts look desirous, don’t you think? Most kids I’ve tried these on have liked them – although a few were vehemently anti-sultana, which is why I’m suggesting a choc chip substitution. I’ve not tried it, but I reckon it would get them over the line with most junior food critics. Heat the oven to 180C. Line a 12-hole muffin tray with paper cases. Whisk the eggs well in a large bowl. Tip in the oil and yoghurt and whisk to combine before doing the same with the brown sugar. Remove the whisk and sift over the flour and mixed spice. Use a metal spoon to fold through, then also combine in the pumpkin and sultanas. Divide the mixture between the 12 muffin holes and bake for 22-25 minutes until golden and springy. Do I love my thermomix now? An update 15 months later…. Someone just posted on my old post – Do I love my thermomix (you might be surprised), asking for an update on how I’ve settled in with my machine. I was fairly strident in my skepticism back then, so it seems only fair to fill you in on how I’ve gone, long term. It’s been 15 months now, so the novelty has worn off and I can assess its usefulness without my mind being swayed by the TM hype. So here’s the truth…. I don’t use my thermomix very often. But when I DO use it, it’s fantastic. But I can get by without it for days on end. My husband calls it the $2000 egg poacher, since I’ll go for a couple of weeks doing nought with it but bunging on a bit of breakfast. ‘But what a breakfast!’, I say. Perfectly soft-boiled eggs. Almost. Every. Time (colder water temps in winter meant I had to up the cooking time – learned that the hard way one morning, cracking open an almost raw egg). Needless to say, husband raises an eyebrow and checks out the space on the wall where his $2000 television could have been proudly mounted. He’d probably have watched that for more than 5 minutes every week or so. BUT. (And there’s always a but, isn’t there.) I LOVE TO COOK. So pots and pans are a bit joyful for me. Stirring sooths my soul. Chopping calms me down. Cooking is some strange therapy. I totally understand, though, that many people hate cooking and feel the nightly need for food production as a weight of concrete pulling them into the depths of mediocrity. And for those people, then the thermomix is a brilliant device. You need no kitchen flare to produce a good meal. Apparently the new model even tells you what to do next, so you need not even worry yourself with the tedium of recipe reading. GOLD. And I’ll confess that mid-week, when all the shite is flying everywhere, the TM has saved my skin on many occasions. For me, this is where the machine shines and this is the theory behind the recipes that I chose to convert for my Thermomix ebook (check it out here). It’s perfect for those mid-week food production nights when you just want everyone to just shut up, eat and go to bed. AND WHAT ABOUT ALL THAT OTHER WHIZZERY-BANGERY THAT IT DOES? Yes, it does do it, and it does do it well. If you are dealing with food allergies and creating everything from scratch then I can see how much you would love your thermie. I have used it to mill sugar and I use it to mill brown rice into flour. And it’s absolutely-freaking-fantastic at all that. Yesterday, I used it to easily make a fantastic strawberry jam out of some soggy old cheap berries that were definitely no good for eating. GOLD. But if you’re thinking about buying a thermie, I would keep in mind that rarely does a contraption truly change our behaviour. If you think that a TM will help you eat more vegies, you’re wrong. If you think a TM will allow you enough time to bake bread from scratch, you’re wrong. If you think a TM will save you money, you’re wrong. If you’re making broader lifestyle changes, then a TM might assist you with those. Going gluten-free is a little easier. Cooking every night from scratch is a little easier. But a thermomix is a lot like a gym membership – forking out the money is NOT ENOUGH to motivate you to truly change your lifestyle if you’re only half-hearted. If you want to make bread, a breadmaker is a wonderful thing. A $40 rice cooker is essential and does a wonderful job, as does a $40 mini-food processor. For less than $200 I can have all the kitchen help I need to make lasting changes in my lifestyle. I’d recommend giving some of those gadgets a go before making the big thermomix commitment. Oats, but not wheat. And quite yummy, too. 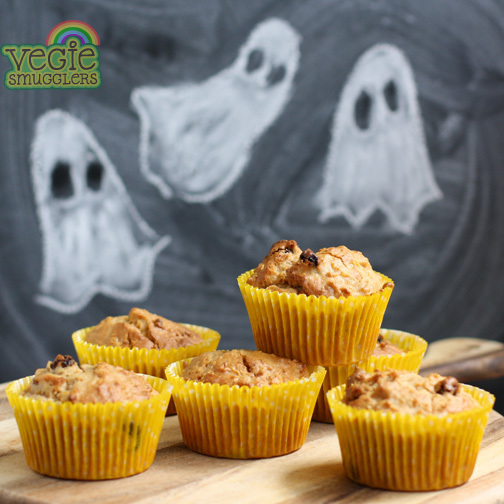 Preheat the oven to 180C – line 12 muffin holes with paper cases. In a large bowl, mix together all of the dry ingredients. In a separate bowl or jug, whisk the egg, milk & fat together. Pour into the dry ingredients. Combine well then mix in the blueberries. 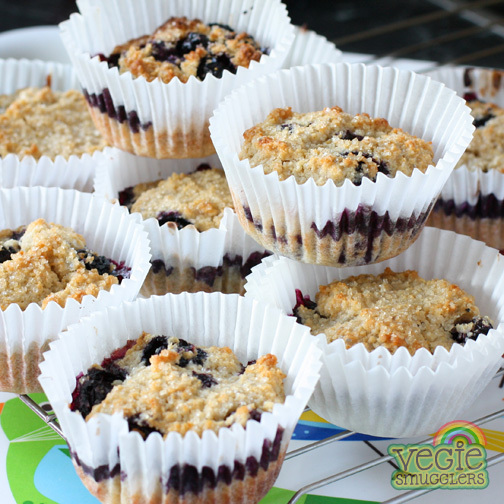 Use spoons to divide the mixture evenly between the muffin holes. Bake for 30-35 minutes until firm and golden. Enjoy watching your toddler feed themselves lentils! 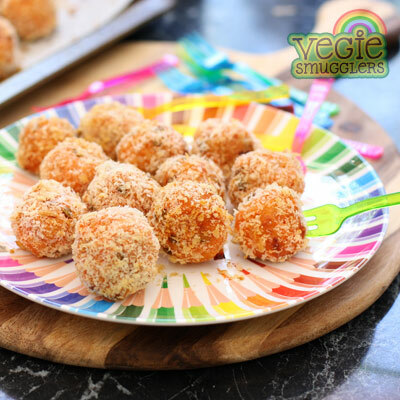 Yes, it’s true, these little balls of deliciousness are perfect toddler food but they’re also a popular snack with older kids, too. The secret is that the sweet potato (or kumara), is ROASTED, so they’re rich and enticing which means the lentils aren’t noticed at all. To get the mash, I chuck the whole sweet potato into the oven (don’t peel it or anything so tedious) and cook it for about an hour at 180C. Then, whenever you’re ready during the day, you can get onto making this super-healthy, egg-free snack. Preheat the oven to 180C. Line a large oven tray with baking paper. Mash the cooked sweet potato in a large bowl. Evenly mix in the rice, cheese, lentils and chutney. Roll bite-sized balls of mixture, coat in the breadcrumbs and place on the tray. Spray them with oil and bake for 20-25 minutes. Turn once during cooking (if you can be bothered) and give them an extra spray of oil part way through. Usually you’ll have more than one cup of mash after roasting a whole sweet potato. Just up the quantities of the other ingredients to suit and make a heap – these freeze well. Just remember for reheating that you need to thaw them then bake them in the oven – they go soggy in the microwave. Advice on how to get your toddler eating a wide variety of vegetables with 26 clever recipes that smuggle the healthy ingredients in. Some people like to smuggle vegies by cooking them, mashing them and re-adding them to dishes where they get cooked again and served to unwitting children. Have you heard of this method? 1. By the end of this process, most of the vegie’s nutritional benefits are gone. 2. It’s too much work for time-poor parents to manage. 3. The kids don’t learn how delicious healthy eating can be. I prefer a ‘chop chop’ method. Start with gorgeous fresh, raw produce and grate it or chop it into such small pieces that kids can’t easily identify or pick it out of their dinner. People have complained to me, ‘but you’re not hiding the vegies – I can see them!’ to which I’ll reply, “yes, because you want your kids to realise that vegies are there, but to still eat them anyway’. If the little bits are all cooked together into a delicious and tasty whole meal, the kids will eat it (of course there are exceptions!) Mostly though, if they can’t identify exactly what vegie is what and if they’re enjoying the meal then their motivation to protest will be low. The aim is to eventually get kids eating the way you do, so you might start off grating everything, but after a while you can move on to chopping and dicing things finely. Then the pieces can get bigger and bigger until you’re just cooking like normal. This process can take a couple of years and possibly you’ll have to backtrack if you push them too far (if you see them crying, with a huge chunk of zucchini on their fork, you’ll know that you need to go back to grating for a while). So I recommend everyone take the time to buy a good kitchen knife and learn to use it (there’s a stack of videos online showing you how). You don’t need to be a whizz, just competent and safe. Buy yourself a good grater, too. And also rely on gadgets to do the work for you. I use my mini-stick blender all the time. I use it to make breadcrumbs, chop vegies, whizz up homous and even make banana ice cream. You can WIN this baby. Luckily for one reader, today I’ve got an Avancer food processor to give away. In the larger machine you can make coleslaw, combine meatball mixtures, blend soups – all bound to give you vegie-smuggling success. 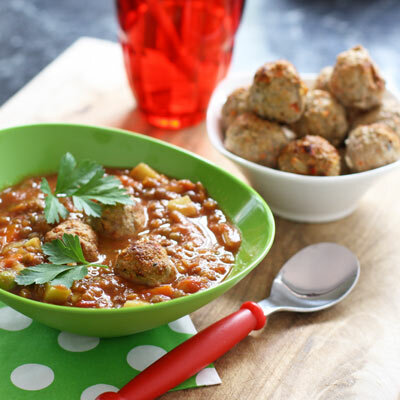 Hidden veg meatballs in an ALL VEG soup. Genius. And delicious. Make a double batch of these meatballs and freeze. They work great in all kinds of tomato soups and pasta sauces (like this one). Preheat the oven to 200C. Line your largest baking tray with foil and spray well with olive oil spray. Use your food processor to make breadcrumbs with the bread. Also add in the garlic and herbs and blitz to get heavenly, fragrant breadcrumbs. Quickly blitz the carrot, then the capsicum. Pop in the mince; toss the egg on top and pulse to bring the mix together. Pop on some kitchen gloves and roll meatballs and place on the tray. If you have the time and patience, keep them nice and bite-sized (plus they cook faster). Spray the meatballs with more oil spray and bake for 15 minutes. Remove the tray, carefully turn them over and return to the oven for 10 minutes more until golden outside and fully cooked through. Makes enough for 2 adults and 2-3 kids, depending on what you add them into. WANT TO WIN THE FOOD PROCESSOR? You need to be a Vegie Smugglers subscriber, based in Australia. And since Avancer have given me the prize, you might want to check out all the Avancer products here. Simply enter by commenting below about which vegies you find the hardest to get your kids to eat. Entries close Thursday Oct 24, 8pm AEDT. ****THANKS FOR YOUR ENTRIES! 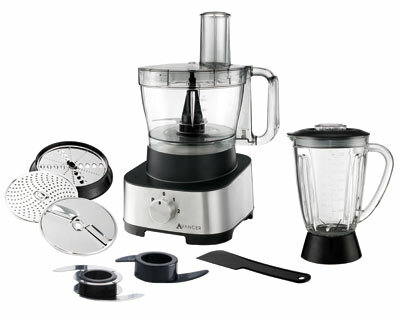 AVANCER HAVE PICKED THE WINNER – CONGRATULATIONS ALISON WHITE, HOPE YOU ENJOY THE FOOD PROCESSOR! Astute watchers of VS will have noticed that I’ve been a bit absent. Never one to veer into idleness, I’ve gone and filled up my spare middle-of-the-day hours with a part time job that landed in my lap quite fortuitously. Too scared to resist fate, I’ve gone with it, figuring I can still tend Vegie Smugglers well in the hours left over. Interestingly, after ‘living the dream’ of working from home for a year, I find I’m happy to be back out in the workforce. Seems I quite like having a reason to chuck on some lippie and I quite like contact with real people. But immediately I’m thrown back into those fraught post-work dinnertimes where the kids are cranky, I’m tired and the fridge is ominously empty. Yes, I know. Boring. But as the old cliché goes, fail to plan, plan to fail. Spending an hour on your weekend or day off doing a menu plan and large grocery shop will ensure you have everything you need for food success, all week. If you hate doing it, buy my e-book. I even give you shopping lists and meals for 6 weeks. Or use one of my free plans as a guide. Click here or click here. When you make your plan, you’ll hopefully see the spots in your week where cooking is possible. Grab these opportunities and make larger than you need quantities. Especially things you can freeze, or rejig for the next night. Make a meatloaf that will feed you tonight, and still tastes good sliced on toasties tomorrow. Or cook enough pasta for a leftover pasta frittata. No matter what your work status, your freezer is your friend. Use it. Love it. Stack it. Bless it on those nights when you get home to find absolute chaos erupting. Bolognaise actually tastes better after a sit in the freezer. Genius! Freeze in portions then reheat and mix with tinned tuna & extra cheese. Pasta, chicken and bacon amongst the vegies…and it defrosts just fine. Freeze in small containers and you can always make a quick healthy pizza. My kids ate these weekly for almost two years. And on the nights when it’s all gone totally pear shaped? English muffin pizzas, eggs pots, microwave rice with packet tofu & frozen vegies, scrambled egg wraps with smoked salmon & avocado, toasties with tuna, cheese & corn, or good old 2-minute noodles (ditch the flavour sachets) with frozen vegies. Or grab sushi on your way home (avoid fried ingredients or mayo). No matter what the dinner outcome, the main thing is to relax and remember that the most important part of every evening routine is the cuddle and kiss with your gorgeous little terrors at bedtime. All is forgiven in that moment of stillness. Is your baby’s food really organic? And a glass container giveaway. Did you know that in Australia, food products can be labeled ‘organic’ if they just ‘contain organic ingredients’? For instance, if they’re made with organic salt & pepper, they can use the word ‘organic’ on the packaging. Interesting, huh! And extremely unimpressive. So if you want organic food for your babies and kids that is actually organic, you need to look for the words “100% certified organic“, which means that they’ve actually met all of the strict organic produce criteria. Rather than be relying on ‘organic’ pre-packaged baby food, you might want to take things into your own hands. Luckily it’s easy to whizz up leftovers of your family meal and freeze portions, ready for your baby. From 12 months of age, babies should be eating the same foods as the rest of the family (see the government guidelines here), obviously just pulverised up a bit, to match their current level of development. Pumpkin, corn & lentil soup. 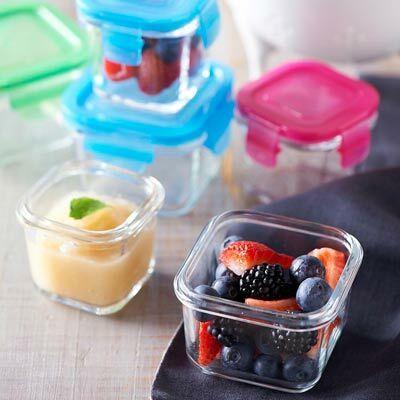 And you’ll be able to portion them up into lovely little freezer-friendly parcels if you win one of this month’s prizes – a set of glass containers, from Littlelock. I’ve got three sets to give away – each with three large and three small containers, each set is worth $63.90. Take a look at the Littlelock page, then come back and tell me what concoction you’d be whipping up for your containers. There’s nothing like telling me I can’t do something to make me want to do it. Perhaps most of us are hardwired that way? At the moment, I just keep hearing about how toxic sugar is, how evil flour is and how my life is being ruined by them both. Except the thing is, I feel good. And I like my life. My body seems to cope just fine with moderate amounts of both without any drama. And did I mention that I LOVE them? In quite a passionate and deeply-needed way. Maybe it’s just that I’m so far under their spell, that rather than understanding how far they have me trapped in their abyss, all I can see is the absolute delirious joy that I experience as I bite into a floury/sugary concoction that’s freshly baked. So perhaps biologically they are bad for me, but sometimes, just sometimes, a little bit of naughty can be a whole lotta nice. They’re a bit of work, but a rewarding way to potter about on the weekend. Pop the warm milk and 1 tbsp of the sugar into a jug, scatter over the yeast, stir and leave it somewhere warm until it goes frothy (about 10 minutes). Meanwhile, in a large bowl, combine the flour, salt and remaining sugar. Once the yeast mix is ready, pour it into the dry ingredients, along with the melted butter and egg. Use a metal spoon to combine it all into a dough. Turn it out onto a floured surface and knead for 6-8 minutes until the dough it smooth and gorgeous. Pop it into a greased bowl, cover with a tea towel or greased glad wrap and pop it somewhere warm to double in size. (In the winter, I use my car, which is the warmest, least drafty place – but avoid giving anyone a lift anywhere afterwards – they’ll wonder what the yeast smell is). The proving process can take anywhere from 30-60 minutes, depending on the temperature & conditions. Once doubled, Give the dough a punch with your fist to release the air. Turn it out onto your floured bench and roll it out into a large rectangle. Brush the dough with the melted butter (from the filling list). Combine the other filling ingredients and scatter them over the entire surface. 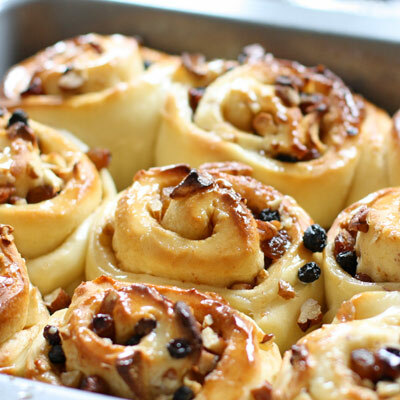 Roll up the dough from the longest side. Cut into 12 equal pieces. Place cut side down into another greased baking tray. Recover and leave that to prove for another 30 minutes or so. Add the glaze sugar and water together in a small saucepan over medium/high heat. Stir to melt the sugar. Once boiling, reduce the heat and simmer it for a couple of minutes to thicken. Set aside. Remove the cover off the bread and bake for 15 – 20 minutes until golden and springy. Take the buns out of the oven and brush over the glaze (you might not need all of it). GOT A THERMOMIX? Chuck all the dough ingredients in the bowl and mix speed 6 for 12-15 seconds. Then knead for 6 minutes. Turn out and follow the recipe as normal. Right then (she says dusting off her floured hands), where’s the wine?